Food52's Managing Editor Brette Warshaw is throwing no-stress weeknight parties for anyone, anytime, and (almost) every kitchen. You're invited. Today: A step-by-step plan for the most fun Monday night you've ever had. It's Monday morning, and you're probably dreaming about Paris. Or Rome. Or a beach in Thailand. You're picturing yourself walking by the Seine with a baguette in your hand, or eating salumi with your fingers, or falling asleep in a soft, warm breeze off the ocean. I dream about those things, too. I dream about them often. But right now, when you're smiling sloppily and your eyes are all glazed, you should be thinking about New Orleans. You should picture yourself dancing on the sidewalk and drinking a slushie, and you should get excited it's a Monday. Because this week, you can throw a New Orleans-style dinner party, and get that spring -- and that swing -- back in your step. Blast some big band, put on some beads: let's have some fun. The weekend before: Make your simple syrup for your Sazerac, and the vanilla pudding for your Banana Pudding. The night before: Make your shrimp stock. Mix together that sriracha-lime butter for your oysters. 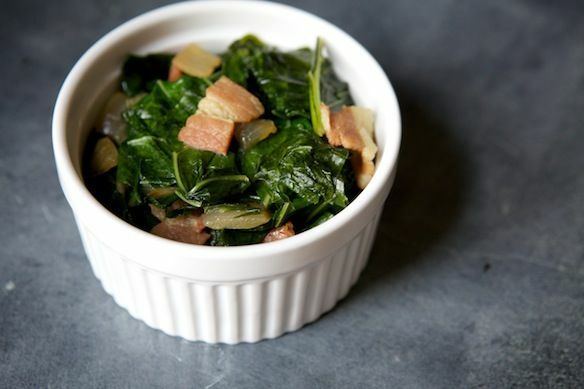 Prep your collard greens; you can slice them tonight and keep them in the fridge. Mix together your spices for your gumbo; that way, when it's party-time, you won't need to put a million spice-bottles away. Smash the Nilla wafers for your Banana Pudding. Before your guests arrive: Get your greens going on the stove; they'll need a half hour of braising. Make your Shrimp Gumbo, but save the shrimp; you'll add those, and give it all a final simmer, right before serving. When your guests start arriving: Assign a friend to Sazerac-making duty. Drink one. Get your rice cooking, so that it will be nice and hot when you sit down. Dollop those oysters with the butter, and broil them; watch them disappear. Make more Sazeracs. Eat more oysters. Dinner time! Finish up your gumbo (it will take three minutes), and re-warm your greens. Serve it all with rice. If your friends get tired of making Sazeracs, you can start drinking beer. 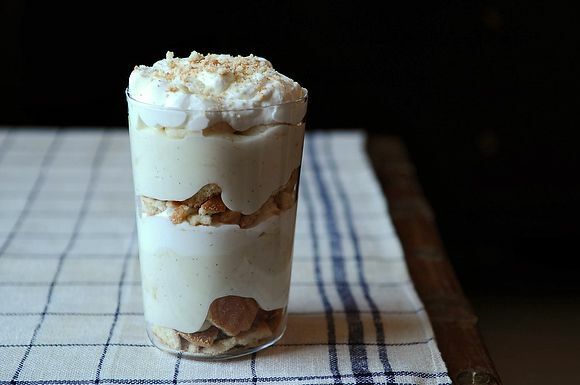 When it's time for dessert: Whip out your Banana Pudding. Blast some Kermit Ruffins. The party is just getting started; happy Monday! What are your thoughts on keeping food warm in a warming drawer?